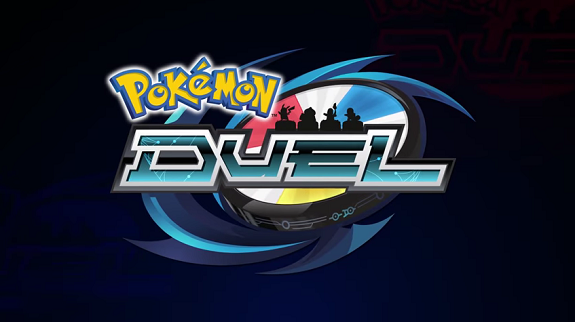 In this post, you will find everything there is to know about the events and content updates for Pokémon Duel (available on Android and iOS), for 2017. If you’re looking for Software updates, click here! Shiny Charizard figures (including X and Y Mega Evolutions) will be available to purchase in special bundles, until January 9th. The latest Queen’s Cup event goes live on December 27th, and runs until January 1st. This one allows you to earn the Shiny Rayquaza & Goodra figures! Shiny Greninja and Shiny Mimikyu will be available to purchase in special bundles, until January 1st. Also, until January 10th, special Timed Boosters offering a chance of getting Alolan Vulpix and Alolan Ninetales will be available. Between December 24th and December 26th, players will have the opportunity to play against some of the developers. If they win enough matches, everyone will receive a special Pikachu figure! If you log-in before January 6th, you can receive an [EX] Honchkrow figure! Today, the latest Team Match event went live. It runs from December 6th to December 9th, with rewards available until December 11th. The latest Queen’s Cup event is now live, and runs until December 3rd. This one allows you to earn the Dragonair and Dragonite figures! The latest Queen’s Cup event is now live, and runs until November 19th. This one allows you to earn the Mega Gyrados figure! Today, pre-registration for the latest Team Match event went live. The event itself runs from October 26th to October 29th, with rewards available until October 31st. Thanks to this event, you can earn various rewards, including a special Time Booster (Sparkle) which may contain a new figure (Shiny Sylveon). The latest Queen’s Cup event is now live, and runs until October 23rd. This one allows you to earn the Misdreavus and Mismagius figures! The latest Queen’s Cup event is now live, and runs until October 1st. This one allows you to earn the Alolan Sandshrew and Alolan Sandslash figures! The latest Queen’s Cup event is now live, and runs until August 28th. This one allows you to earn the Mega Gyarados figure! Also, if you log-in before August 31st, you can get a Mega Salamence figure (UX rarity)! Today, the latest Queen’s Cup event went live, and runs until August 7th. This one allows you to earn the Rotom and Frost Rotom figures! Today, a new event for Pokémon Duel went live: the latest Team Match. This time, you can choose between Team Leafeon, Team Glaceon, and Team Sylveon. This event allows you to get Time Boosters that may contain Shiny Eevee or Shiny Umbreon. It runs until July 23rd! A new Queen’s Cup event goes live on July 12th, and runs until July 17th. It will allow you to get Alolan Vulpix (R) and Alolan Ninetales (EX) as rewards. From July 2nd to July 18th, all players who log-in can get an Alolan Vulpix figure (R) as log-in bonus. You can also get a chance to obtain a Summer Time Booster Pack by winning a League Match: this pack will only include Dragon and Ice-type Pokémon, including Dragonair (R) and Dragonite (EX). But that’s not all: from July 2nd to July 9th, you can get one special booster pack ticket per day, that can only be used for a July 2018 Booster Pack. The latest Queen’s Cup event is now live. By earning enough points during it, you can get Alolan Sandshrew and Alolan Sandslash (available in-game for the very first time. They can move through Ice-type Pokémon on the field, and when attacked, they can move through the Pokémon that is attacking it onto an adjacent space and prevent the battle). The event runs until June 26th (12.59AM PT / 3.59AM ET / 8.59AM BST / 9.59AM CEST / 4.59PM JST). Today, the latest Team Match event went live. This time around, the rewards you can get is none other than Shiny Eevee and Shiny Umbreon figures! Today, the latest Queen’s Cup event went live. Once again, you have to compete against other players in order to earn a high score… and some nice rewards! This time around, you can get your hands on a rare Shiny Rayquaza figure! The event runs until May 22nd. Winning battles allow you to earn points for your team. Thanks to this event, you can get a special Espeon figure. The event runs until May 11th. Winning battles allow you to earn points for your team. Thanks to this event, you can get two special figures: Shiny Magikarp and Shiny Gyarados! Today, another event went live in Pokémon Duel: the latest Queen’s Cup. Once again, you have to earn points by taking part in battles, in order to claim various rewards. Among the rewards, there’s a Rotom and Frost Rotom figure, that cannot be obtained anywhere else. And to go with those new figures, a new Plate is available for purchase: it allows you to change Rotom’s form. The event runs until April 10th. Today, a new event for Pokémon Duel went live: the latest Queen’s Cup. This one allows players to try and win a Shiny Rayquaza figure (brand new, and not available anywhere else at the moment), among other rewards, by using the points earned by battling other players. It runs until March 13th. Today, a new event for Pokémon Duel went live: the latest Queen Cup Carnival (the S.S. Carmonte Carnival), which runs until February 12th. As usual, you have to play against other players online, in order to earn Class Points. Those points allow you to get various rewards, including a Dragonite figure. If you pre-register before January 26th, you will get 1 Booster Enhancer. If you do so using the auto-select option, you will get 3 of them instead. Today, the latest event for Pokémon Duel went live. It’s called the Queen Cup Carnival, and it allows you to earn various rewards, including a Mega Salamence figure. To get it, you need to earn enough points by playing against other players online. You have until January 4th to participate! Today, pre-registration for the latest Team Match event went live. If you pre-register, you can get a Booster Enhancer as pre-registration bonus. If you choose Auto-select pre-registration, you will get 3 of them instead of just one. [Event] Today, a new event went live in Pokémon Duel: the Queen Cup Carnival. It runs until November 20th, and allows you to earn a Shiny Ho-Oh figure. To get it, you need to battle against other players online, and earn enough points to afford the figure. Today, pre-registration for the second Team Match event went live. You have until tomorrow (October 27th) to pre-register, and get a Booster Enhancer as pre-registration bonus. If you choose Auto-select pre-registration, you will get 3 of them instead. The Team Match event is now live: you can check out more details just below! The winning team will get a Rare Metal EX. The lowest ranked Team at interim results will get some extra Team Power until the next ones… a way to even out the playing field! Today, pre-registration for Team Match went live and will remain open until September 19th. Click here for more details about the event! Also, a special 10 pack booster is now available in the store, and is guaranteed to include an EX or UX drop. Finally, to celebrate 26 million downloads worldwide, all players get an EX Darkrai figure as Log-in bonus! Click here for more details about about this new content! Today, some new figures (9 in total) + 1 new type of plate + 2 time-limited boosters were added to the game. Click here for more details about all this! Gym Boosters available, with the contents increasing with your winning streak. Said boosters have to be redeemed before June 27th. Gym Boosters available, with the contents increasing with your winning streak. Said boosters have to be redeemed before June 13th. Gym Boosters available, with the contents increasing with your winning streak (full list of rewards can be found on Serebii). Said boosters have to be redeemed before May 16th. Gym Boosters available, with the contents increasing with your winning streak (full list of rewards can be found on Serebii). Said boosters have to be redeemed before May 2nd. For more details about this event, click here! In order to celebrate Pokémon Duel topping 17 million downloads worldwide, there is a special log-in bonus campaign going until April 3rd. Click here for more details. Until March 14th, you can get Orange Time Booster from League Matches until March 14th. Those always hold either a Fairy or Dragon-type Pokémon. 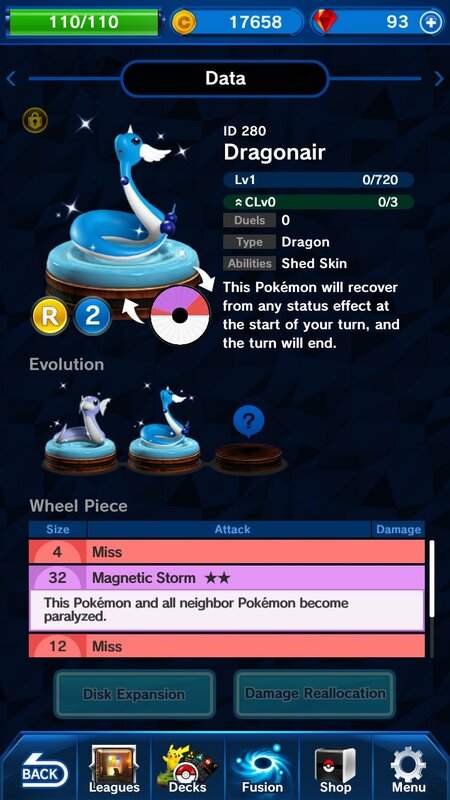 Starting today, players can get a Dragonair figure as log-in bonus. For more details about the events (such as the various rewards for win streaks and the rewards for the total amount of matches won), click here! A big thanks to Serebii for the details!